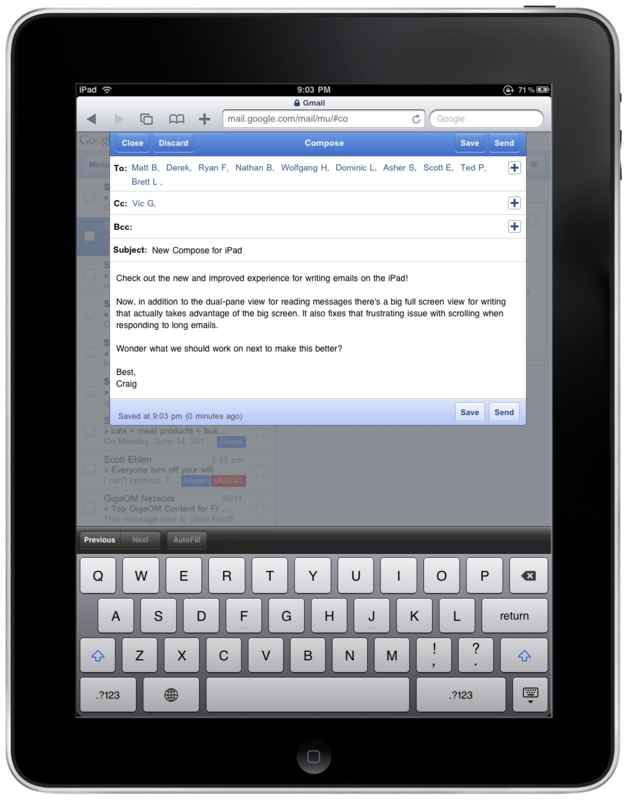 Gmail on the iPad gets a spiffy new interface. 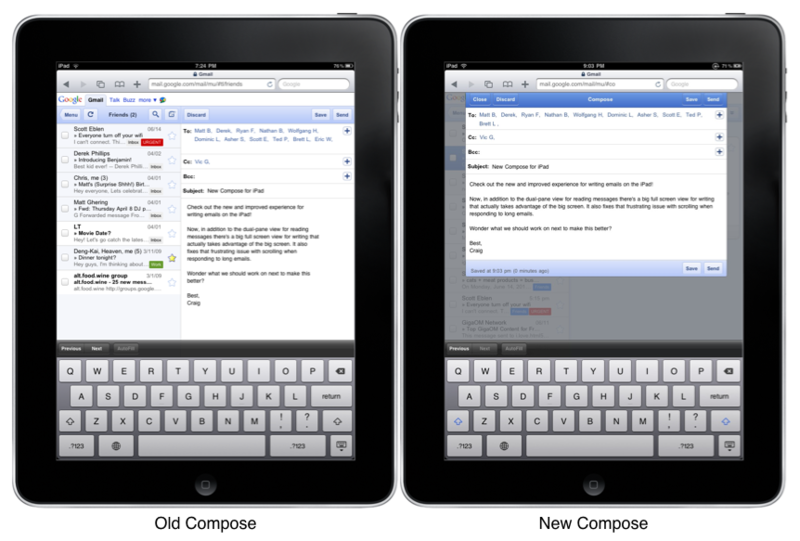 Back when the new version of Gmail for iOS and Android was announced, we raved over the features. 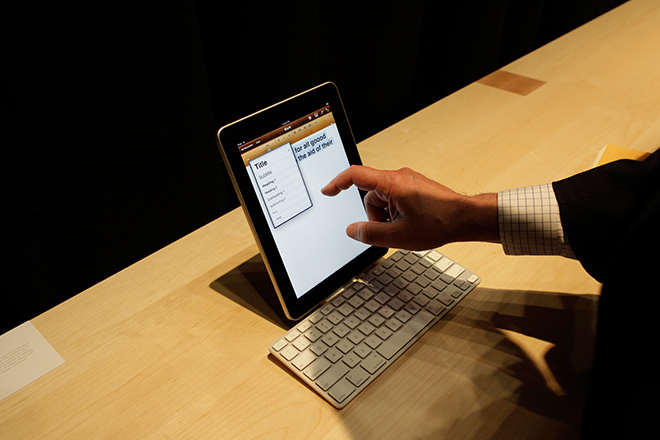 Apparently, things just got even better for iPad users. When you write an email you’ll now get a big full screen compose window instead of splitting the screen between your inbox and the compose view. More text is visible at once and there are no more distractions with messages on the side. We’ve also fixed problems that prevented scrolling on long messages. Here’s a side-by-side of the old versus new interfaces. Looks like I now have even more reasons to lust over an iPad.